The arrival of the Twin Otter comes as a little surprise. Apparently the pilots had a very brief weather window. They carried up 6 large drums of Jet fuel and we spent an hour and half re-fueling the plane from these drums before a none-stop 3+ hour flight back down to Mestersvig. 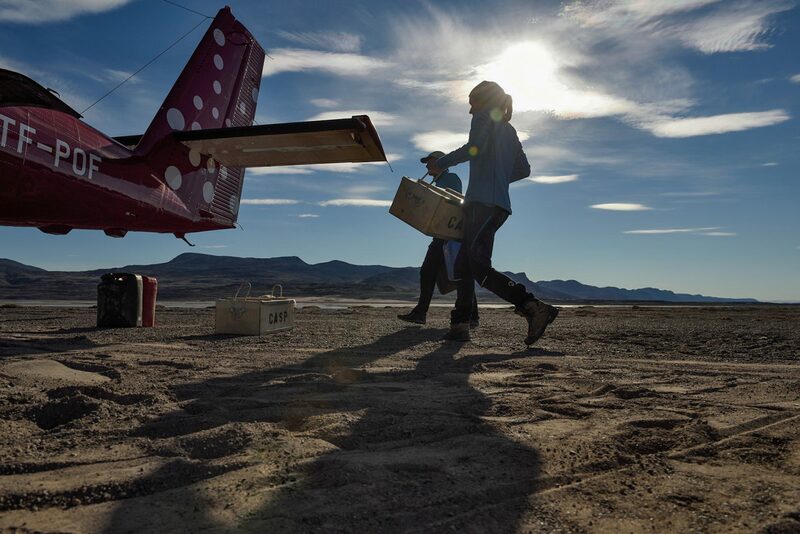 Here, Gina and Christoph carry the all important box of samples into the plane. This is what we came for!